Alicia manages the collaboration between the research teams and the larger community coordinating educational outreach, game development and research design. 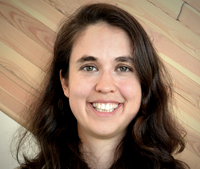 Alicia’s professional background is in Landscape Architecture (MLA, University of Michigan School of Natural Resources) with a focus on landscape ecology, restoration and mapping. Her undergraduate degrees include a BFA in Photography and a BA in Biological-Anthropology. Her work experience includes working with industry, government and non-profits in conservation planning, habitat restoration design/build management and environmental education in both North and South America. Her current MSc research in Delta BC focuses on climate change vulnerabilities within the industrial sector and the integration of eco-industrial networks into adaptation planning.